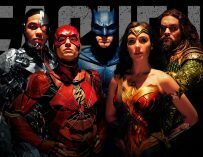 Batman, Wonder Woman, The Flash, Aquaman and Cyborg are all ready for a fight in Justice League’s new poster. Check it out below. Justice League is only a few weeks away from release. 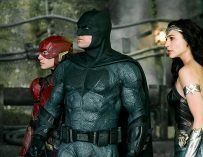 It’s hard to believe that we are finally going to see a Justice League movie, yet people are feeling rather cautious about the movie. This is mainly down to the fact that previous DC movies (apart from Wonder Woman, of course) have left us feeling a little bit flat. Batman v Superman, Suicide Squad and even Man of Steel were all very bleak and overly long affairs. There’s also all the drama surrounding the film’s post-production. 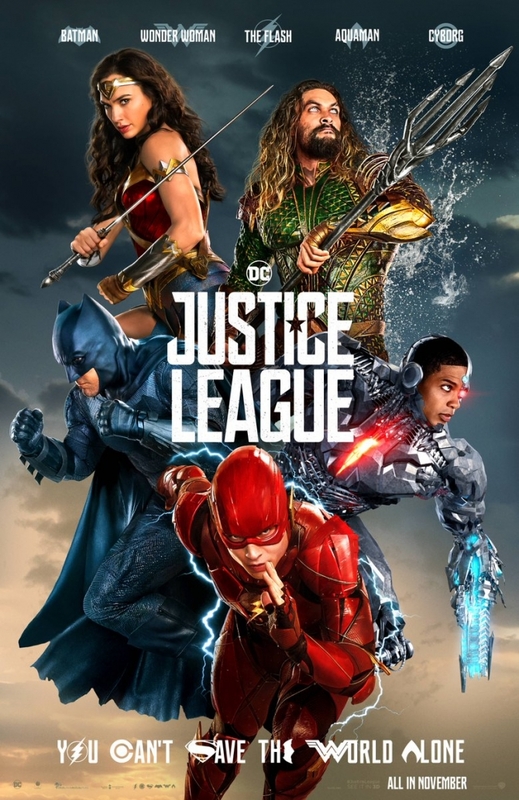 Justice League was originally intended to be Zack Synder’s film, yet he had to step down from his directorial duties due to an unfortunate family emergency. This is when Joss Whedon stepped into the ring. Snyder and Whedon are about as different directors as you could possibly get and the idea of watching a movie which has been directed in part by the both of them is slightly daunting. However, it could result in one of the best comic book film’s we’ve ever seen. Although, if the trailers are anything to go by, it all looks like a bit of a rushed mess. Yet, I will reserve judgment on the movie until after I’ve seen it for myself. The prospect of a Justice League movie is still very exciting. It’s just a shame they could have had a better build up to this moment. That said, the new poster does look visually arresting, which showcases DC Comics’ most well-known heroes (minus Superman) all ready for battle. Check out the new poster below. 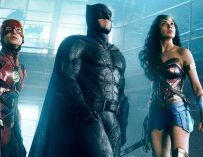 Batman, Wonder Woman, The Flash, Aquaman and Cyborg are all ready for battle in Justice League’s new poster. Whether the film ends up being a hit or not is slightly irrelevant at this point. DC Comics and Warner Bros. need to have a rethink about their upcoming superhero projects. As Rian Johnson said, the reason Wonder Woman worked down to the fact that it was a good film on its own merits and wasn’t focused on creating a cinematic universe. Perhaps this is the angle that DC and Warner Bros. should adopt with their next films. They should concentrate on making good movies, as opposed to constituting a larger cinematic universe like Marvel has done. That will come in time once the films and the studios have demonstrated that they deserve it. For more articles on stuff like DC and Marvel superhero films, Lucasfilm’s revamped Star Wars franchise, and even stranger stuff like the Detective Pikachu movie, make sure you stick with Small Screen. 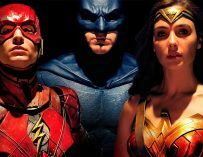 Justice League will be out in UK cinemas on November 17th. Are you ‘all in’? Let us know in the comments below.